Hidden away in the heart of downtown, we offer the best location - with casinos, dining & shopping just a short walk away. 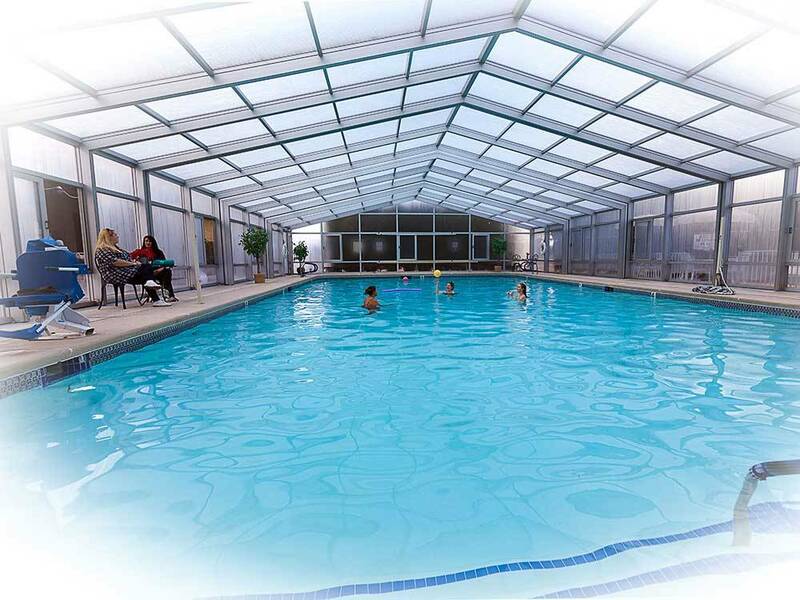 And we are the ONLY property in town that provides swimming with year-round comfort. Reasonable rates. Constant improvement each year I return. The retractable pool cover is in operation. The spa has been totally redone including plumbing. The staff is the best in the state. The "Welcome Home" meal was fantastic, complete with in the ground overnight barbecued pork and beef. Do not miss the Hawaiian "Good Bye" barbecue, usually the last weekend of March. The new cook is doing a great job. The maintenance staff is superb. They have the grounds in beautiful condition. I love my home away from home. Driving our new RV home from Phoenix. Wanted to be away from the Vegas rush and prices, so decided to go out of our way a bit and visit Pahrump. Used the Good Sam guide and picked Preferred. Easy access, a little tight with offset sites, but very friendly. Neighbors are very close. Did not feel we were downtown. Only real issue is gravel roads and dust. Would stay here again. We are staying 5 days as a stopover on our way south. Although the spots are small, the staggered layout gives fairly good privacy. The dogs have made good use of the several adequate dog runs. The staff has been exceptionally friendly and helpful. We have met several other RVers who have been cheerful and nice. We had a great reasonably priced Turkey sandwich dinner at the club house and visited with the other table guests. The weekly activities are varied. We have enjoyed day trips with our dogs and I am sure we will use this as a staging destination again. Thank you for the compliments and kind words. Yes, we are striving for improvement each year, and we're glad you noticed. It's a "home away from home," just as you said. Preferred RV Resort in Pahrump Nevada, is a very nice park. I, will be staying there again. From Jct of SR-160 & Crawford Way: Go NE 1/4 mi on Crawford Way (R).